Hope the code works, let us know if it does. Velcro back support soft fabric sports or workouts comfortable and breathable lumbar support your skin also can breathe during wearing. 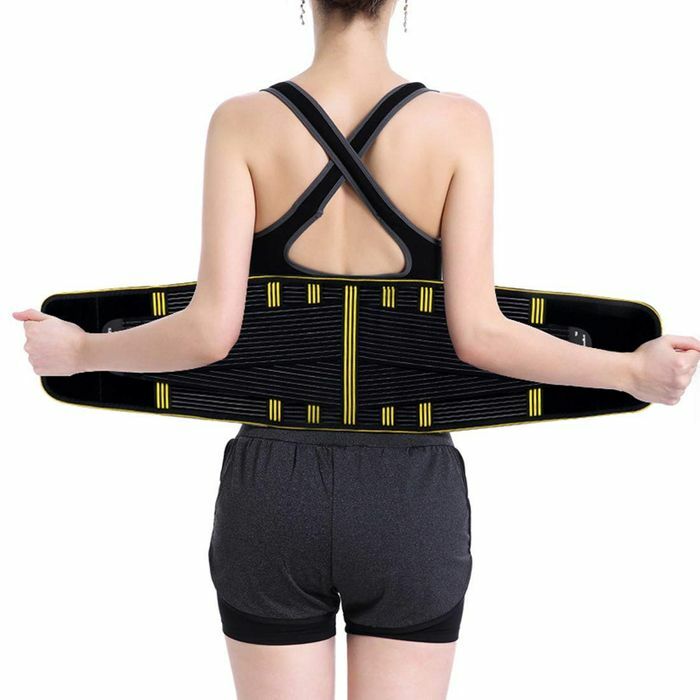 Double pull adjustable sports lumbar brace offers both compression and support to the abdominal and lower back muscles. This back supports belts use inner and outer double layer elastic design is benefit to strengthen abdomen shape your body. The support provided by the compression strap improves chronic back pain to aid treatment of back problems such as a slipped disc and Sciatica. Prevent injury freely use you can wear this back supports no matter you are working, doing yoga, running, exercise, driving, traveling, walking and so on.